WE have Canada’s largest selection of Harley-Davidson® Motorcycles in stock! We have sold new and pre-owned Harleys since the 1960’s. Since being cancelled as an authorized Harley-Davidson® dealer, we are committed to bringing you the best pre-owned Harley® motorcycle values from across North America to save you thousands. We ship across Canada. So, why buy new, when you can save thousands of dollars at Robinsons? We are Canada’s largest dealer of quality pre-owned Harley-Davidson® motorcycles. We warranty most of our Harleys with our Robinson Warranty. Many of our Harley-Davidson® motorcycles have Harley-Davidson® Factory Warranty. We also offer extended warranty and financing. 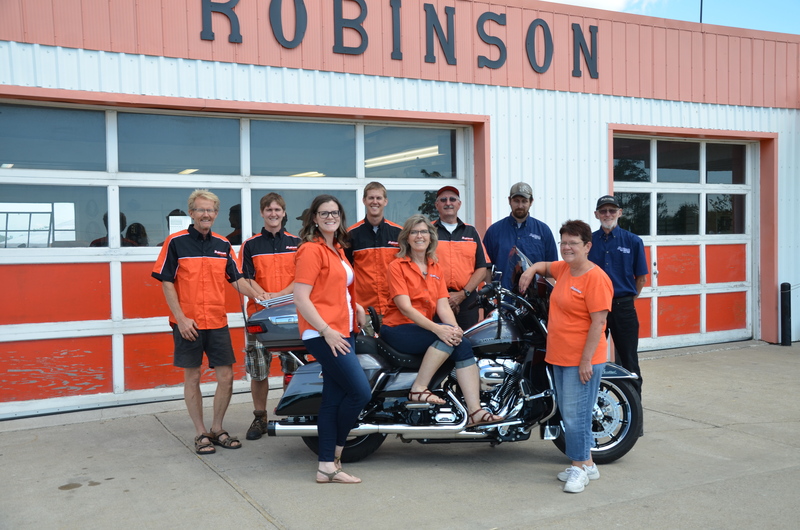 The Robinson team of Harley-Davidson® factory trained mechanics will completely pre-service and PDI any machine you get. We can also do all of your follow up maintenance. After all, we have sold new and pre-owned Harleys for over 40 years. We ship bikes across Canada. Whether you live in Ontario, or from BC to Newfoundland. We can have the Harley® of your choice delivered to you. We stock more Harley-Davidson® motorcycles than many Harley-Davidson® dealers. 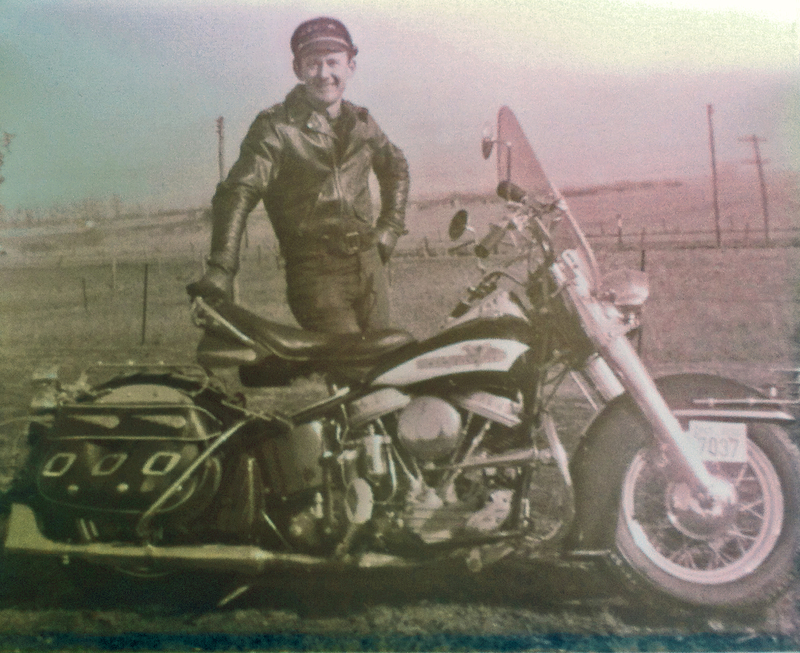 Jim Robinson brought his first motorcycle home to the family farm in the 1940’s. Farm life began taking a back seat to the excitement of fixing and racing motorcycles. The small tractor and car repair shop Jim built on the farm was an ideal place to stock a few parts for bike repairs for others. In the early 50’s Firth Motorcycles and McBride Cycles in Toronto suggested Jim take a bike or two and sell from the farm. 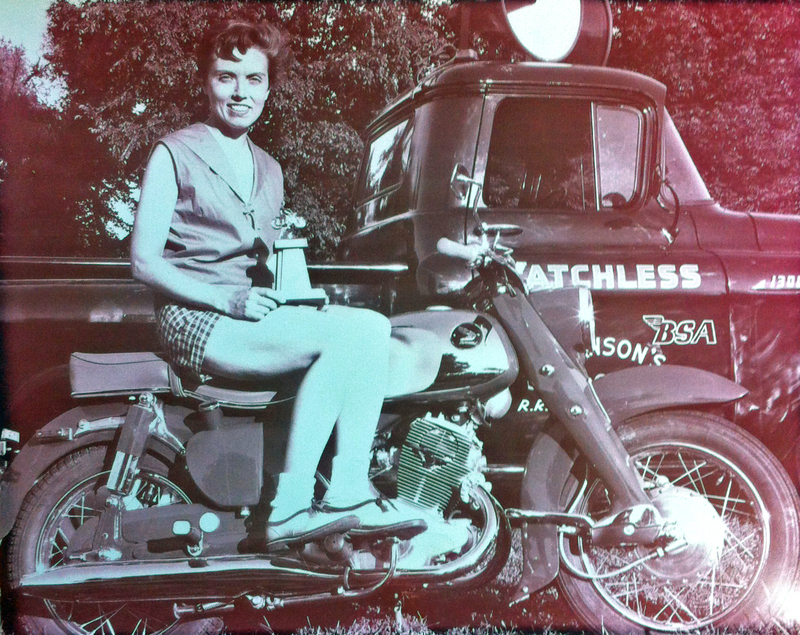 Matchless, Ducati, and AJS were some of the first. The farm focus quickly turned to bikes. In the mid 50’s to early 60’s after Jim and Bev married, the farm life began taking a back seat as the motorcycles developed into a full time business. Triumph, BSA and Norton were coming to the farm. The 60’s saw the Japanese bikes arrive; Honda followed by Yamaha, Kawasaki and Suzuki. Harley and BMW also found a home on the Robinson farm in the 60’s. The small garage needed a major expansion. A large showroom was built. A warehouse and airplane hangar behind the bike shop awaited truckloads of bikes Jim was hauling weekly from Toronto. The chicken coop and milking barn were a thing of Jim and Bev’s past. The 60’s and 70’s saw a major expansion of motorcycling enthusiasts. In the mid 80’s the Robinson Harleys roared with the new evolution engines. On August 15, 2003, Jim passed away. He was on his flat track race bike at the Leamington track doing some practice laps the night before the races, when he suffered a heart attack. He died doing what he loved best. Our family was overwhelmed by the support of thousands of people in various ways, the visitation long lines, and the funeral procession which included over 300 motorcycles. It is with great sadness and heavy hearts that we share with you the passing of our beloved Bev – mom, Gram, and Great-Gram, on the evening of June 24th, 2017. Kim (Robinson) Van Deven and Randy Robinson have taken the helm looking after many facets of the business including sales. Randy, Cole, Michelle, Derek, Kim, Joe, Corbin, Sandy and Bob. Sandy’s years of experience in the motorcycle industry is a great asset in helping you with your clothing, accessories or parts needs. 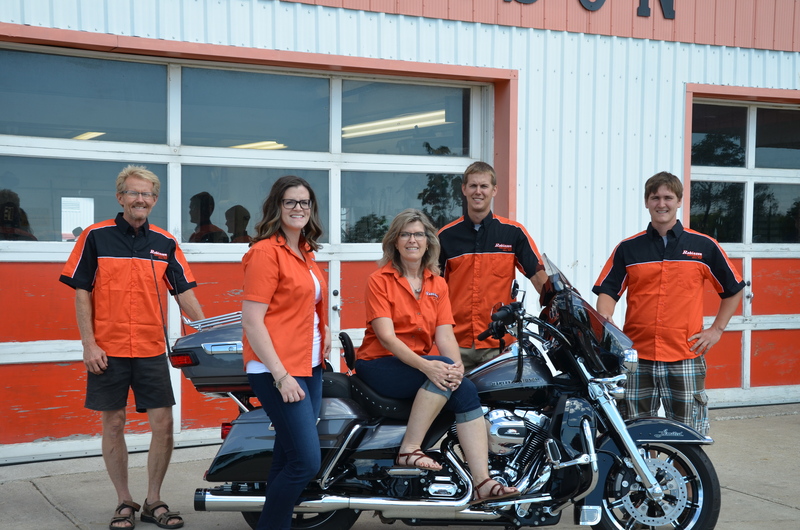 Bob and Corbin have unlimited experience and expertise in Harley service. From the evos to twin cams, minor service to major restoration projects, they will keep you rolling down the road. Joe in sales is sure to be able to find you the perfect ride! His experience in the sport of motorcycling is extensive. The third generation of the Robinson Family is now involved, Kim’s daughter Michelle and Randy’s sons Derek and Cole are regular faces! Continuing our family’s commitment to customer service and satisfaction. Let us help you enjoy your motorcycling experience.